This scientist is very crazy to undertake the mission that is about to start alone and that is why we ask you to help him to get out of this life. You will have to use your ray gun, the last invention of our scientist, to face all the opponents you encounter on the way. You must use the up arrow key to jump and you will avoid the bullets of the opponents that go with firearms. 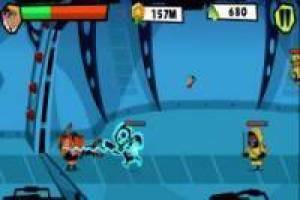 To activate your lightning gun, you must press the spacebar and wait for your opponents to be close enough to reach them. 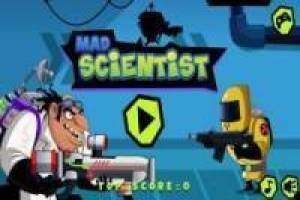 Live a great adventure with the mad scientist, go as far as possible and get a great score. Enjoy the game The mad scientist, it's free, it's one of our adventures games we've selected.